Back in March, Alien director Ridley Scott revealed that the title of his next prequel will be called Alien: Awakening, although he teased that the timeline of these movies isn't linear, and will go Prometheus, Alien: Awakening and then the upcoming Alien: Covenant. The filmmaker didn't clarify his comments, but it seems that won't be necessary, since that apparently isn't the title of his next Alien movie at all. While promoting Alien: Covenant, the filmmaker revealed that the next prequel script is already being worked on, but it won't be called Alien: Awakening. During a new interview with IGN, the director explained that the now-dead Alien 5 movie, which was once moving forward with Neill Blomkamp at the helm, was actually called Awakening. While Ridley Scott was set to produce Alien 5, a.k.a. Alien: Awakening, he didn't seem to fond of having both projects happening concurrently. Here's what the director had to say about the matter. "They wanted to do Alien, er, Awakening, Neill Blomkamp, I said fine. I was going to be the producer. If I could have, I would have. Except I do question, why have both (Blomkamp's Alien and Scott's Alien) out there? It seems like shooting your big toe off, it doesn't make sense. But they didn't go forward with it, Fox, so I just kind of kept out of it. I mean, I'd literally ignited this thing to bring it off the ground again, because it was lying there dormant on a shelf. I had this thing to bring it back up, but here we are." Ridley Scott also teased in March that he is planning 6 Alien movies after Alien: Covenant, while revealing he'll be ready to shoot the next sequel in 2018. The director reiterated this plan, teasing that the sequel script is already being written, and that he plans to be filming within the next 14 months, at least by July 2018. Here's what the filmmaker had to say. "We're writing [a sequel] now, as we speak. I'll be filming that within 14 months. That's why I'm doing it, so you're asking these questions." He added that the story of Alien: Covenant has been left "wide open" on purpose, teasing that he plans to continue answering questions posed in these movies as the franchise continues. Ridley Scott never revealed who is writing this Alien sequel script, but he teased in March that it was already written, and that he'd be ready to shoot in 2018. It isn't known what the Alien: Covenant follow-up, formerly known as Alien: Awakening, will now be called, but it's clear there is a plan in place to start shooting next summer. Is Ridley Scott Still Working on Alien: Covenant Sequel for Disney? 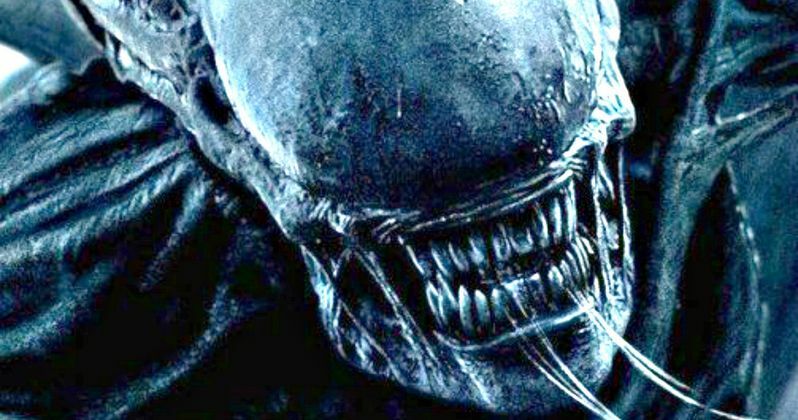 Alien: Covenant Sequel Is Dead at Fox, Will Disney Reboot the Franchise?